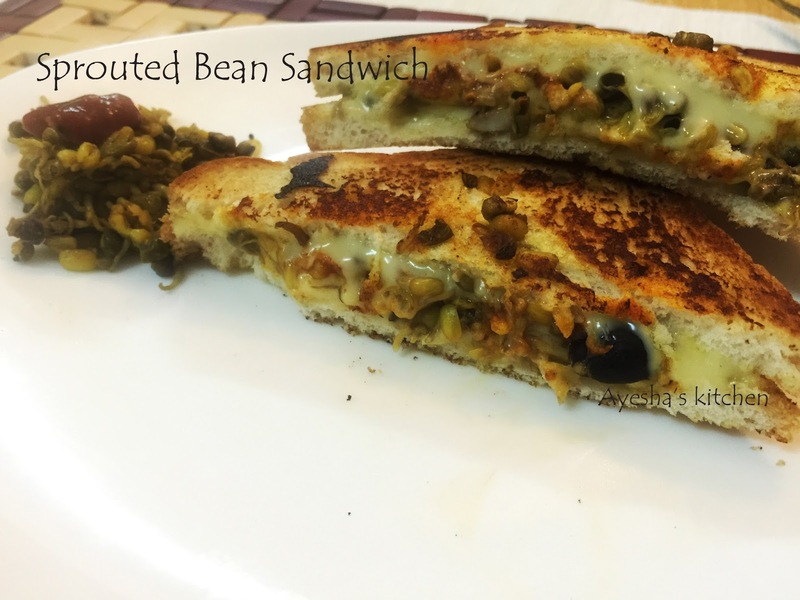 Moong sprout sandwich is a healthy and delicious snack box recipe with sprouted beans , cheese and sauce. I used to prepare finger sandwich and tea sandwich for my daughter's snack box. As she is a big fan of sprouted beans i used to prepare sprouted beans salad, sprouted beans stir fried, sprouted beans curry and sometimes sandwich too. 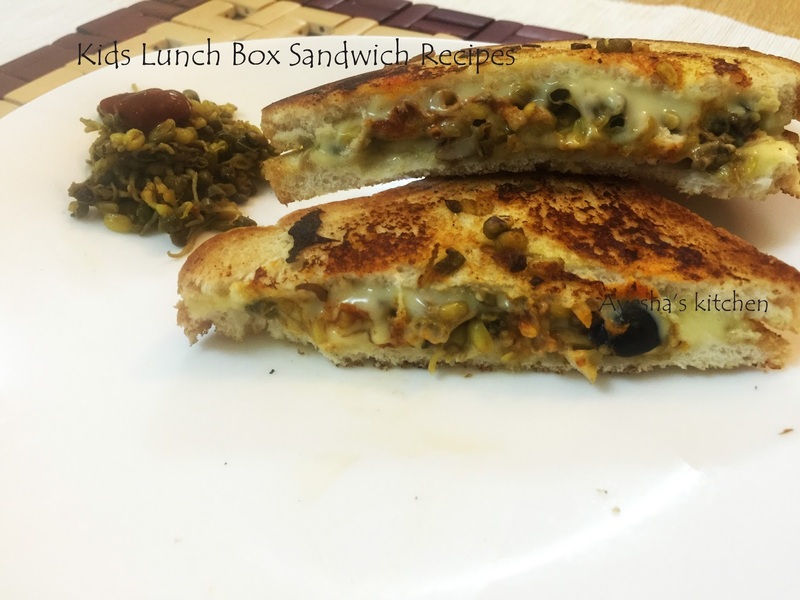 Here is the recipe for a healthy breakfast / kids lunch box / healthy snack . Heat a pan with 1 tsp of butter and toss well the cooked moong sprouts for few seconds and set aside. Now in the same pan, add 2 tsp of butter. Make the flame very low. Then keep two bread slices over the heated butter. Now place a cheese slice over one of the bread slice. Toss the other bread slice in butter. Now off the flame. Spread generous portion of the filling(moong sprouts) over the cheese slice. Drizzle some tomato sauce, some black olives and again place a cheese slice over it. Finally top it with the tossed bread slice. Flip the sandwich slowly and now cook the sandwich until the cheese melts in a low flame.